Violent clashes broke out on Tuesday in the town of Beit Ummar, near al-Khalil in southern West Bank after Israeli soldiers attacked an elementary school for girls. A number of Palestinian youths threw stones at Israeli soldiers, who responded by firing tear gas and stun grenades and rubber bullets, causing a number of citizens and students to suffocate. Muhammad Ayad Awad, the spokesman for the Popular Committee against the settlement in Beit Ummar, said in a statement that a baby, aged 3 months, and his mother suffered serious suffocation and were transferred to the hospital. The clashes were concentrated in the area of Assida. The headmaster suspended school after consulting the mayor of Beit Ummar, who has ensured for the girls a safe exit from the school. More than 20 Palestinian citizens were wounded in the clashes that broke out on Tuesday afternoon in front of Ofer prison, after a march organized by Birzeit University students in support of Palestinian prisoners in Israeli jails. Palestinian Red Crescent sources said that two of the wounded were shot by Israeli live bullets in the feet, and that the rest of the injuries were caused by rubber bullets. The occupation forces were deployed on the hill overlooking the Ofer prison to the south of Ramallah shortly before the arrival of the demonstrators, and started firing tear gas grenades at them. A number of students suffered from suffocation and minor wounds following the suppression of the march. One of the leaders of the Islamic bloc confirmed to the PIC that the Israeli troops fired tear gas grenades and metal bullets towards the hundreds of students and citizens who organized the march towards Ofer in support of the hunger striking captives. PIC's correspondent in Ramallah said "more than 300 students at Birzeit University and dozens of young men headed to the Ofer prison after hearing the news of the outbreak of the clashes." The demonstrators chanted slogans condemning the occupation and its practices against the detainees, and called for international intervention to stop the brutal attack on prisoners. The student movement at Birzeit University confirmed its determination to continue the protests and marches towards the military checkpoints in support of the prisoners. Israeli occupation forces (IOF) raided at dawn Tuesday, a number of neighborhoods and towns in al-Khalil, in the southern occupied West Bank, and boosted its presence in points of contact that had witnessed yesterday violent clashes. PIC's reporter confirmed that the Israeli troops raided the area of al-Arous in Yatta, south of al-Khalil, and summoned the liberated prisoner and former political detainee Zaid Ismail, 28, to the intelligence office in Etzion, south of Bethlehem. The IOF set up a checkpoint in the area of Ziv, the main entrance to the town of Yatta south of al-Khalil, where Israeli soldiers stopped the vehicles and checked the identities of the citizens. According to local sources, "the occupation forces erected checkpoints on the main street near the settlement of Beit Haggai, established on the citizens' lands to the south, and two other checkpoints near the southern entrance to Halhul and at the bypass road No. 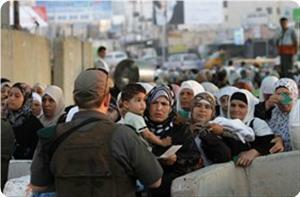 60 north of al-Khalil.The soldiers checked the identities of the passers-by and searched some vehicles." Israeli military patrols have also raided at dawn Tuesday the towns of Beit Ummar, Tarqumiya and Samu in al-Khalil, and roamed the residential neighborhoods for several hours. Meanwhile, infantry soldiers were deployed in several points of contact in the al-Khalil Governorate in anticipation of the outbreak of confrontations in those areas in solidarity with Palestinian prisoners in Israeli jails, after 800 captives have announced today launching a hunger strike. 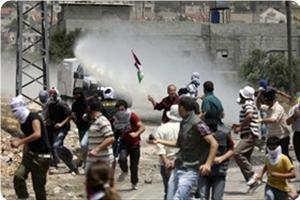 Al-Khalil witnessed on Monday violent clashes in several regions that resulted in more than 30 wounded. The IOF arrested yesterday during the confrontations the citizen Ashraf al-Tamimi after breaking into his shop in the city center and took him to an unknown destination. They have also targeted journalists with tear gas grenades and rubber bullets in an attempt to prevent them from covering the clashes. Israeli occupation forces (IOF) raided an area east of Jabalia, in northern Gaza Strip, at an early morning hour on Tuesday. The PIC reporter said that IOF soldiers escorted four bulldozers near the eastern cemetery and combed and leveled lands of Palestinian citizens that are in proximity to the border areas. 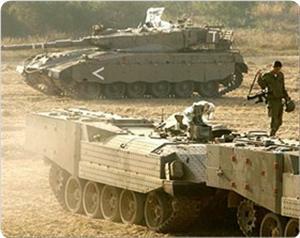 He said that two other bulldozers and four armored vehicles were seen to the east of Shujaia suburb in Gaza city. The incursions come in violation of the calm agreement, brokered with Egyptian mediation, that stipulated among other issues a complete halt to all IOF military operations in the besieged enclave. Palestinian medical sources reported, on Monday evening, that two fishermen have been moderately injured by Israeli Navy fire on the Gaza shore, in As-Sudaniyya, in the northern part of the Gaza Strip. The Palestinian Center for Human Rights (PCHR) reported that the attack took place within the 3 nautical miles allocated by Israel for Gaza fishermen. As part of the ceasefire agreement that ended the Israeli war on Gaza in November 2012, Palestinian fishermen were allowed to fish within 6 nautical miles off the Gaza coast. But the Israeli Navy continued to attack Palestinian fishermen leading to dozens of injuries, while dozens of fishermen were also kidnapped. PCHR called on Israel to stop its violations, and to allow the Palestinian fishermen in Gaza to sail without attacking and harassing them. 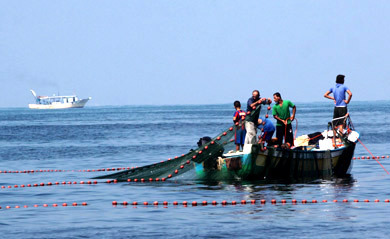 Last week, the Israeli Navy opened fire at Palestinian fishing boats, and detained four fishermen, including two youths. Under the Oslo accords in the mid-nineties, the Palestinians are allowed to fish in 20 nautical miles off the Gaza shore, but in 2008, Israel unilaterally reduced the fishing area to 3 nautical miles. Egyptian officials are planning to visit Tel Aviv to hold talks on maintaining the ceasefire with the Hamas movement, and other resistance factions in the Gaza Strip, and Israel’s siege on the coastal region. It added that Egypt’s President, Mohammad Morsi, held talks with Tel Aviv through officials of the Egyptian National Security Service. The officials said that Israel agreed to allow the entry of construction materials sent by Qatar despite the fact that this matter has been repeatedly rejected by Tel Aviv, an issue that indicates that Cairo and Tel Aviv have been engaged in talks behind closed doors. Furthermore, Maan said that Israeli officials arrived in Cairo, Sunday, and held talks with their Egyptian counterparts for the second time in one week. It added that Khaled Al-Hayya, a senior political leader of the Hamas movement, stated that the movement is holding indirect talks with Tel Aviv to ensure the full implementation of the ceasefire agreement that was brokered by Egypt last November. Al-Hayya denied Israeli reports that claimed that Israel and Hamas have been negotiating for weeks, and said that the indirect talks are regarding the full implementation of all articles included in the seize-fire agreement that ended the eight-day Israeli war on Gaza. Israeli TV, Channel 2, reported that the indirect talks between Israel and Hamas also aim at ensuring the entry of construction materials, donated by Qatar, and allowing of export of Gaza’s agricultural products. According to Maan, Egypt’s President, Mohammad Morsi, opened several channels with Israel through the Egyptian Intelligence, and that all Egyptian demands regarding easing the restrictions on Gaza have been accepted by Tel Aviv. During the 8-day war in November of last year, Israeli missiles and shells killed 191 Palestinians, including children, women and elderly, while at least 1492 Palestinians have been injured, dozens seriously. 48 children, including 16 under the age of five, have been killed by Israeli missiles and shells, in addition to 12 women and 20 elderly. 1492 Palestinians, including 533 children (195 under the age of 5), 254 women and 103 elderly have been injured by Israeli fire and shells. The Israeli occupation forces (IOF) stationed in military towers opened fire intensely and randomly at a late hour on Sunday evening at Palestinian homes to the east of Azzeitoun neighborhood to cover a limited incursion into the Gaza Strip. Eyewitnesses reported that extensive gunfire were seen coming from the military tower located to the east of Juhr Addik district in Gaza, affirming that a shower of bullets reached the residential areas and hit some houses directly. The shooting was intended to provide a force of troops and military vehicles with a land cover as they were advancing towards Mushtahi plastic factory in Juhr Addik area. This Israeli operation resulted in no casualties among the civilians, according to local sources. An Israeli settler has deliberately run over a Palestinian boy on Sunday in the village of Wad Fukin in the southern West Bank district of Bethlehem, before fleeing quickly. Ahmed Sukar, head of the village council, told Quds Press that the boy Mohammed Mohammed Manasra, 17, was at the receiving end of a hit and run incident. He added that the boy was riding his bicycle, where an Israeli settler from Betar Illit neighboring settlement followed him, the boy tried to escape but he was run over by the settler who then fled into the settlement. 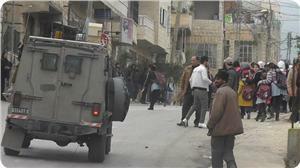 Sukar pointed out that the boy was transferred to Beit Jala hospital, where his injuries were described as moderate. 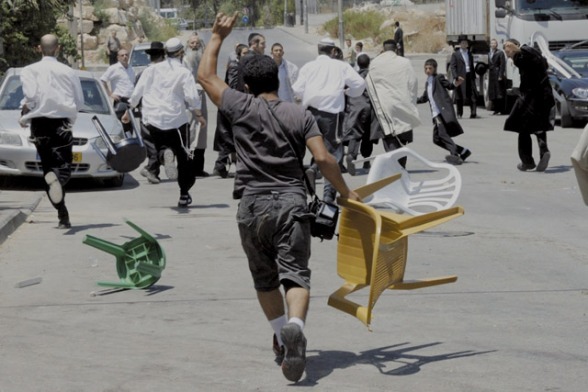 Jewish settlers went on the rampage before dawn Monday in Yasuf village, Salfit province, the local mayor Hafedh Abaya said. He said that the settlers punctured the tires of three cars, which were parking in front of their owners homes, and wrote racist slogans on the walls of houses. The mayor pointed out that Israeli occupation forces raided the village at the same time and arrested 22-year-old Thaer Khalil after wreaking havoc on his family home. He underlined that the IOF soldiers did nothing to stop the settlers’ rampage. A Palestinian boy was wounded today afternoon while another was arrested in clashes that erupted between citizens and occupation forces after a mass rally in al-Khalil in occupied West Bank organized by citizens in support of hunger striking captives. 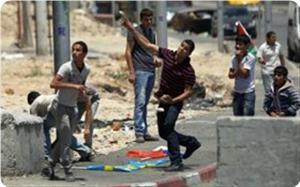 Eyewitnesses told PIC's reporter that the Israeli soldiers shot the boy Rami Jawabra, 16, in the leg. He was then taken to al-Khalil hospital to receive treatment and his injury was described as moderate. The witnesses added that an Israeli soldier was also wounded, when he was hit with a stone in the face and he was taken by a military ambulance vehicle. 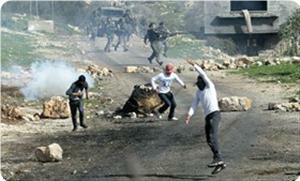 Activist Musab Schauer, 29, confirmed the outbreak of violent clashes at the entrance to Road No. 56 in the area of Bab al-Zawiya in the center of the city of al-Khalil, after the march. He said the citizens threw stones at Israeli soldiers, who were firing tear gas and stun grenades and toxic smoke, which caused a number of citizens to suffocate. 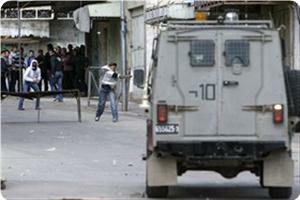 A number of witnesses also asserted that the Israeli occupation forces have arrested a boy aged seventeen. Thousands of Palestinians gathered in the city of al-Khalil to participate in the mass rally, which started this afternoon in front of the Hussein Stadium and headed towards the Ibn Rushd Square in the city center. Popular and factional leaders, MPs, representatives of governmental and non-governmental organizations and hundreds of citizens, including the families of captives, participated in the march in solidarity with the hunger striking prisoners Samer al-Issawi, Ayman Sharawna, Tarek Qa'dan and Jafar Ezzedine. The protestors raised photos of Palestinian prisoners and banners condemning the Israeli occupation policies, and chanted slogans demanding the release of prisoners. They gathered in front of the protest tent erected on the Ibn Rushd square where many of the leading figures delivered speeches in which they called for a serious move to release the hunger strikers. This march comes within the events launched in the occupied West Bank in the Week of Solidarity with the prisoners in general and the hunger strikers in particular. 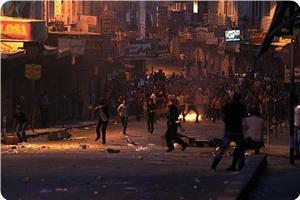 Hebron – Monday Evening, February 18; Palestinian medical sources reported that at least twenty Palestinians have been injured during clashes that took place with Israeli soldiers who attacked a protest held in solidarity with Palestinian detainees imprisoned by Israel. The clashes took place as hundreds of Palestinians marched in Bab Az-Zawiya area, in the heart of Hebron city, in the southern part of the occupied West Bank, to express solidarity with all Palestinian detainees, especially those holding open-ended hunger strikes. 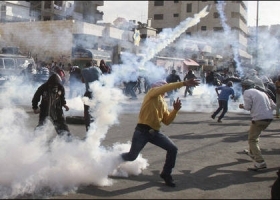 Eyewitnesses reported that the army fired dozens of gas bombs, concussion grenades and rubber-coated metal bullets leading to at least twenty injuries; some of the wounded were treated for the effects of teargas inhalation, while others were moved to the Hebron Governmental Hospital, the Palestine News Network (PNN) reported. Furthermore, the army kidnapped a resident identified as Ashfar Abu Rmeila Tamimi, after breaking into his store in the center of the city. The soldiers also fired gas bombs and rubber-coated metal bullets at Palestinian journalists in an attempt to force them out of the area. Army also occupied rooftops of several Palestinian homes in the area, and used them as monitoring towers. The protest was held in support of hunger striking Palestinian detainees held by Israel, including detainee Ayman Sharawna, from Hebron, who has been on hunger strike for 235 days, and detainee Samer Al-Eesawy, from El-Eesawiyya in occupied East Jerusalem, who has been on hunger strike for 209 days. In related news, six Palestinians from Hebron, including Sharawna’s mother and his three brothers, started a solidarity hunger strike. Furthermore, Israel’s TV Channel 10, reported that one soldier was injured when Palestinian youths hurled stones at the army near the Al-Arroub refugee camp, north of Hebron. 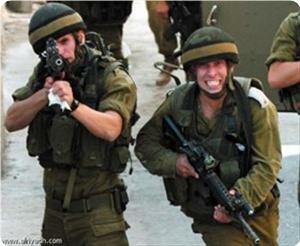 Soldiers opened fire and wounded a Palestinian child. The Child, Salem Jawabra, 15, was shot by a live round to the foot, and was moved to a local hospital; several Palestinians have been treated for the effects of teargas inhalation. Violent clashes erupted between Palestinian youths and Israeli soldiers on Sunday evening, in Arroub refugee camp north of the city of al-Khalil in the southern West Bank, after Israeli soldiers stormed a number of sections of the Negev desert prison. An eyewitness told PIC's reporter that the Israeli occupation forces and a number of infantry soldiers raided neighborhoods in the camp and deliberately fired tear gas and stun grenades towards the young people and the Palestinian houses. The witness said that the Israeli soldiers claimed that the youths had thrown stones and Molotov cocktails at a military tower established off the camp and then fled to the camp. He added that the clashes broke out after a number of families of prisoners, from Arroub refugee camp, had revealed that Israeli soldiers broke into a number of sections of the Negev desert prison on Sunday night after confrontations between soldiers and prisoners' relatives during their visit to their detained sons. Other confrontations also broke out on Monday morning in the camp following the suppression of a march, in support of the prisoners, by the occupation forces. Israeli occupation forces (IOF) rounded up six Palestinians in various West Bank areas over the past 24 hours in line with its daily campaigns of arrests. Local sources said that IOF troops arrested 21-year-old Hamza Malash after storming his family home in Aida refugee camp in Bethlehem before dawn Monday. They said that the soldiers fired teargas and stun grenades during the arrest. Meanwhile, IOF soldiers in 15 armored vehicles forced their way into Bazariye village, north west of Nablus, and nabbed two young men after breaking into their homes. Sources in the village said that the soldiers stormed many houses in the village and searched them before withdrawing by dawn Monday. In Al-Khalil, undercover Israeli soldiers kidnapped a Palestinian youth, Riyadh Sami Jaradat, from his workplace in a petrol station in Sa’eer villages, east of Al-Khalil, on Sunday night and confiscated films from monitoring cameras in its vicinity. 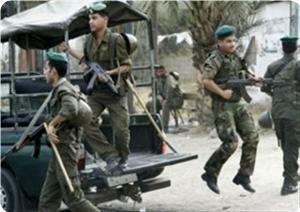 Locals said that the same force kidnapped another young man in the village called Arafat Shahin Jaradat. 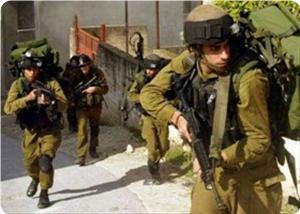 Meanwhile, IOF soldiers stormed Beit Ummar village to the north of Al-Khalil at dawn Monday and burst into a number of houses and searched them. Mohammed Awad, an activist against settlement in the village, said that the soldiers fired gas bombs in front of the house of Nasser Abu Hashim before breaking into it. 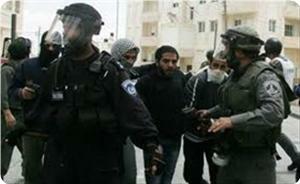 He said that the soldiers also searched the home of Jamal Abu Mariya and arrested his 17-year-old son Mohammed. He added that Mohammed was previously imprisoned in Israeli jail for five months when he was only 14 years old. Awad said that the soldiers fired bullets, teargas canisters, and stun grenades in the area after a firebomb was tossed on them. He added that a number of citizens were treated for suffocation. Palestinian Medical sources in Bethlehem reported that Israeli soldiers fired gas bombs, rubber-coated metal bullets and concussion grenades at a group of Palestinians who marched at the southern entrance of the Al-Khader town, near Bethlehem. Head of the Former Detainees Rehabilitation Center in Bethlehem, Monqith Abu Atwan, told the Radio Bethlehem 2000 that the soldiers violently attacked the procession, and sealed the junction that leads to road 60 that links Gush Etzion settlement Bloc, with Jerusalem. The attack led to multiple injuries among the Palestinians as many have been treated for the effects of teargas inhalation, while many others have been struck with clubs and batons carried by the army. Abu Atwan said that the procession started from Bab AZ-Zqaaq in Bethlehem city, they drove many cars to the An-Nashash area in Al-Khader where they marched on foot carrying Palestinian flags, posters, pictures of hunger striking detainees, and chanted slogans for liberation and independence. Last Wednesday February 13, the Israeli army started work meant to secure and fortify military bases, and settlements, located on the eastern part of the Gaza Strip. Military sources say that the army fortified all bases along the eastern border fence to prevent any Infiltration of Palestinian residents or fighters into the country, according to the sources. The work is being conducted along the 40-Kilometer border area, it also include fortified roofing to the buildings and military bases in the area. The Israeli army said that it is fortifying residential areas in settlements located only 5 kilometers from the border fence, and that this operation started after a resistance group in Gaza managed to fire Kornet guided rockets. The Russian-made Kornet Rockets can hit targets that are as far as 5 kilometers, therefore the army decided to fortify the area to prevent Palestinian shells from hitting them especially when taking into consideration that the November war between Israel and the resistance in Gaza, Palestinian shells managed to strike areas far away from the border. Most of the shells that hit targets that are beyond the reach of the resistance missiles did not carry explosive heads, and were mainly meant to pressure the Israeli’s into demanding their government to stop the aggression on Gaza. On the other hand, Israeli Security Officials said that the army leadership in the country fears that Hamas might have obtained advanced missiles and weapons that were smuggled by Libyan weapon traffickers following the removal of Lybian President, Moammaer Qaddafi. Israel also fears that, not only Lybian weapons and missiles have been smuggled to Gaza, but also Iranian missiles and weapons are making their way into coastal region. Yet, Tel Aviv said that it is satisfied with the Egyptian operations against the smuggling of weapons into the Gaza Strip. While many senior Israeli security, military and political leaders repeatedly stated that security coordination between Cairo and Tel Aviv is excellent despite the fact that the Muslim Brotherhood is in control of Egypt after the election that were held following the removal of former president Hosni Mubarak. Israeli occupation forces (IOF) seized control of a house in Yabad village, south west of Jenin city, and turned it into an observation post. Local sources said that the soldiers occupied the house, which is still under construction, in Malul area on Sunday morning. They said that the house, which is located on a relatively high land, is in proximity to schools, adding that none knew when the soldiers would evacuate it. 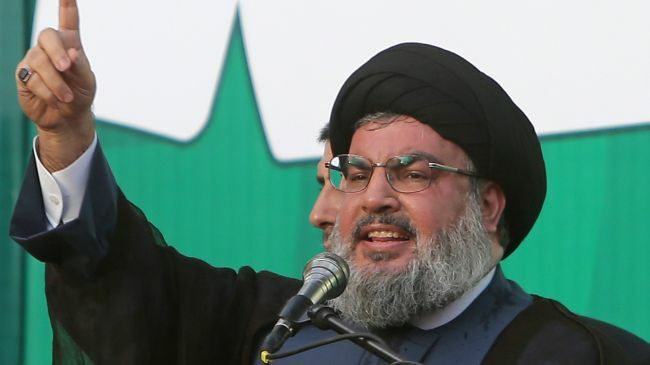 Hezbollah Secretary-General Seyyed Hassan Nasrallah says the Lebanese resistance movement will defend the country against any possible attack by Israel. “I warn Israelis, resistance will not be silent in case of aggression,” Nasrallah said Saturday during a speech marking the anniversary of martyred Hezbollah figures. Nasrallah denied speculation that Hezbollah has become weak and said the resistance movement is prepared more than ever. “Lebanon’s resistance movement is fully prepared and ready,” he added. Elsewhere in his remarks, the Hezbollah secretary-general also stressed that resistance is the only choice for Palestinians in their struggle against Israeli occupation. “Israel is the greatest danger for Palestine and the region,” Nasrallah added. He said Hezbollah would continue to support Palestinians in order for them to achieve their rights. The Israeli military frequently carries out airstrikes and other attacks on the Gaza Strip, saying actions are being conducted for defensive purposes. However, in violation of international law, disproportionate force is always used and civilians are often killed or injured. The attacks rage on while Israel keeps up its crippling blockade on Gaza, which it imposed on the enclave in 2007. Israeli occupation forces (IOF) stormed the villages of Sanur and Zawiya, south of Jenin, at dawn Saturday and combed a number of suburbs. Local sources said that IOF soldiers in 12 armored vehicles burst into Sanur’s cemetery and searched it. They recalled that IOF soldiers had served summonses to a number of villagers in Sanur on Friday. Other IOF patrols stormed the Zawiya village and stationed at its entrance as soldiers combed olive groves overlooking the village, locals said. More than 50 Palestinian young men sustained injuries during clashes on Friday with Israeli troops in Yabud town south of Jenin city, and at the Jalama checkpoint to the north of the city. Eyewitnesses said that dozens of young men suffered from tear gas suffocation following an Israeli security raid in Maloul area of Yabud town. Citizens said the Israeli occupation forces started to provoke the feelings of the Palestinian residents in the area and interrogated some of them on the streets, prompting dozens of young men to throw stones at the soldiers who responded by firing tear gas grenades. Other clashes also broke out at the Jalama checkpoint between young men, who rallied in support of prisoners, and soldiers, according to local sources. 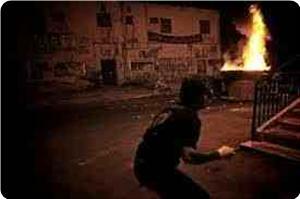 More than 15 young men were taken prisoners and 30 others suffered tear gas injuries during the confrontations. Israeli soldiers from the Jalama checkpoint used their vehicles to chase the young men and physically assaulted two of them, one was in a wheelchair. Violent clashes erupted on Friday evening in Issawiya town, northern the occupied city of Jerusalem, between Palestinian citizens and Israeli soldiers that resulted in wounding eight young men. The Israeli occupation forces stormed the town from its eastern and western entrances and demolished, for the 24th time, the protest tent erected near a mosque in the center of the town in solidarity with hunger striking prisoner Samer al-Issawi. 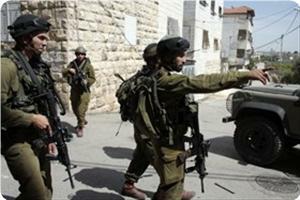 The Israeli troops also raided the house of a Palestinian family and attacked its inhabitants. Information Center in Wadi al-Hilweh reported that during the clashes the villagers threw stones, empty bottles and fireworks at the occupation soldiers injuring two of them, while the forces have been randomly firing stun grenades and rubber bullets at the houses and youths, injuring six of them. The confrontations took place following the end of the solidarity march that was launched from the Sheikh Jarrah neighborhood toward the village in solidarity with the Jerusalemite hunger striking captive Samer al-Issawi. The participants in the march raised al-Issawi's photos, and chanted slogans condemning the occupation and the Prison Service administration. Dozens of citizens closed the main road at the western entrance to the town with stones and garbage containers, to prevent the occupation forces from breaking into the area. Meanwhile; Jerusalemite Students Union, the Palestinian Prisoners' Society and other Jerusalemite institutions organized a festival in solidarity with al-Issawi and all Palestinian prisoners in Israeli jails in the headquarters of the Red Cross in Jerusalem. The citizens in the Sheikh Jarrah neighborhood, northern the Old City of Jerusalem, performed Friday prayers near the house of the family of Ayoub Shamasneh, which extremist settlement associations have been threatening to seize it by the end of the month. Sheikh Ismail Khatib, head of the Committee against the Wall in Jerusalem, called on the Jerusalemites to support Shamasneh family, denouncing the settlers' attempts to seize their house. More than 200 Palestinian protestors sustained injuries on Friday afternoon during violent clashes with the Israeli occupation forces (IOF) outside Ofer jail south of Ramallah city. A massive crowd of Palestinian citizens rallied outside the prison to express their support for the prisoners and the hunger strikers, and to perform the Friday prayers. Local sources told the Palestinian information center (PIC) reporter that the soldiers outside the jail fired a barrage of rubber bullets and tear gas grenades at the Palestinian congregation soon after they finished praying, affirming that five journalists were wounded by rubber bullets. The angry protestors managed to control the soldiers and seize some of their body armors forcing them to hide inside a residential building in Beitunia town. 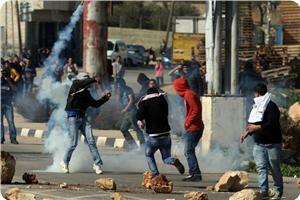 Eight Israeli soldiers sustained injuries during the clashes. The soldiers remained besieged for more than three hours before they sent for reinforcements, which arrived at the scene and ended the siege by firing live ammunition at the protestors. Three protestors suffered injuries from live bullets, according to eyewitnesses. 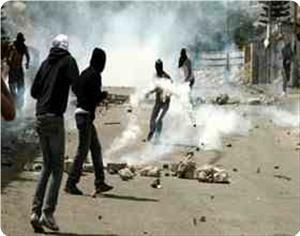 Later, other violent clashes broke out on the evening of the same day between Palestinian young men supporting the prisoners and Israeli soldiers near Hawara checkpoint south of Nablus city. 10 young men suffered suffocation from tear gas and received first aid from paramedics. Similar protests condemning Israel's violations against the prisoners and the hunger strikers also took place in different areas of the West Bank. Local sources reported that clashes broke out near Aida refugee camp to the north of Bethlehem city as well as in the main road leading to Jalama checkpoint north of Jenin city. A group of protestors also attacked the military checkpoint called Haggai between Al-Khalil city and Al-Fawwar refugee camp and destroyed its barriers. Several Palestinian injuries were reported. In an earlier incident, violence erupted after Israeli soldiers stormed Arroub refugee camp north of Al-Khalil and attacked a Palestinian rally in solidarity with the prisoners. Dozens of suffocation cases were reported on Friday afternoon after the suppression of a demonstration in solidarity with the prisoners in front of the Ofer military prison west of Ramallah. Hundreds of Palestinians and international activists have participated in the demonstration in solidarity with the prisoners on hunger strike in front of Ofer prison, where the Israeli soldiers shot teargas and rubber coated steel bullets, causing several injuries among the protesters. Israeli forces took position near the prison, while the citizens held pictures of prisoners on hunger strike and banners calling for their release. 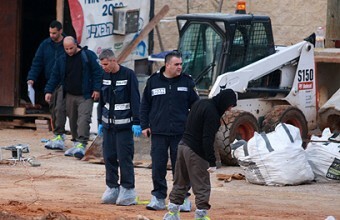 A 25-year-old Palestinian worker was stabbed to death at a Rishon Lezion construction site. He was taken to the Assaf Harofeh Medical Center early Friday morning after sustaining knife wounds to the chest, according to reports from Ynet. He died on the operating table. One resident of the city was taken in for questioning following an initial investigation by authorities. According to the investigation, as reported by Ynet, the victim lives in the West Bank and was working in Israel illegally. The details of the incident are still unknown, but police believe the man was involved in a fight around 2 AM near the construction site where the man worked. Although details of how the fight unfolded are unclear, the man sustained multiple stab wounds to his chest, leading to massive blood loss and his eventual death. After learning about the event from the Assaf Harofeh Medical Center, Rishon Lezion Police searched for the crime scene. Lacking any complaint, report or substantial information they searched until stumbling upon the construction site. The victim was taken to the hospital by a Rishon Lezion resident, who was later delayed for questioning at the city's police station. Detectives demanded to know how he came upon the crime scene and whether or not he had any pertinent information regarding the event. The police's forensics lab technicians arrived at the scene and attempted to gather evidence that could lead them to a suspect. In a separate incident in Rishon Lezion, a beach party deteriorated into brawl, leaving a 17-year-old moderately wounded after he was stabbed. The teen was evacuated to the Assaf Harofeh Medical Center, and police have arrested a number of suspects allegedly involved in the beach brawl. 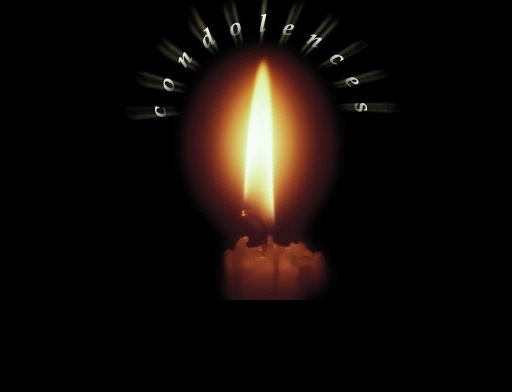 A week ago a 16-year-old was killed in Jaffa. He was brought to a hospital in critical condition with a knife wound to the chest, and there he died from his wounds. Police suspect he too was involved in a brawl. Last Saturday, a 19-year-old was shot to death in the Arab town of I'billin. The victim's brother also sustained a gunshot wound. 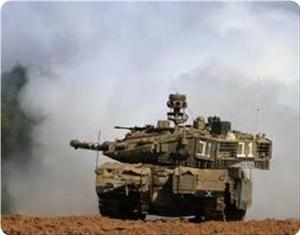 The Israeli occupation forces (IOF) at dawn Thursday carried out amid intensive gunfire a limited incursion into the northern area of the Gaza strip. 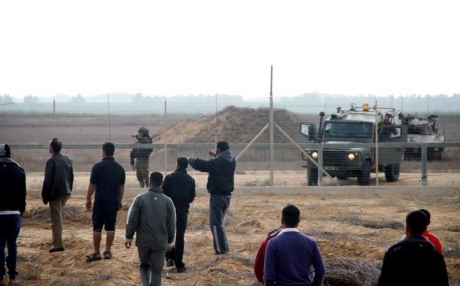 Eyewitnesses confirmed that 4 Israeli bulldozers and 6 vehicles have entered on Thursday morning about 400 meters into the "Bora Abu Samra" in Beit Lahia, in the northern Gaza Strip, amid heavy gunfire towards the farmers' lands. 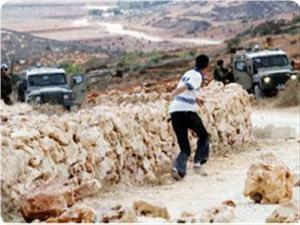 They added that the Israeli fire forced Palestinian farmers to leave their lands, no injuries were reported. This came in light of the Israeli continued violations of the truce signed in November 21 between the Palestinian resistance and the Israeli occupation under Egyptian mediation, where 4 Palestinian were martyred, dozens were injured, and 30 fishermen were detained since the truce. 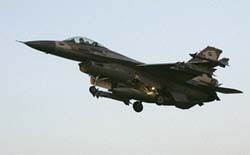 Palestinian security sources have said that on Wednesday evening [13.02] Israeli warplanes unexpectedly breached the airspace over central Gaza and blocked a medium sized civilian aircraft which had suddenly flown into the airspace above south western area of the Sector. Sources added that the unidentified aircraft was over southern and central Gazan airspace for quite a while flying at medium altitude before it encountered the Israeli warplanes which accompanied it until it left Palestinian airspace in the direction of Egypt. Local residents noted that the plane intercepted at medium altitude had its lights on and was then flanked by an Israeli F-16 on one side and an Apache Aircraft on the other as it was escorted away. Palestinian sources speculate that the plane most likely belonged to a private Egyptian airline and had veered off course during a domestic flight. No comment on the incident has been issued by either Israel or Egypt. The spectre of unidentified aircraft entering Gazan airspace has occurred repeatedly of late as a result of radars at Gaza's international airport in Rafah having been destroyed..
Palestinian sources in the Gaza Strip contend two men were injured by Israeli fire. IDF soldiers stationed on the Israel-Gaza border on Thursday fired on Palestinians who had amassed near the border fence after they ignored warnings to distance themselves from the barrier, the army said. 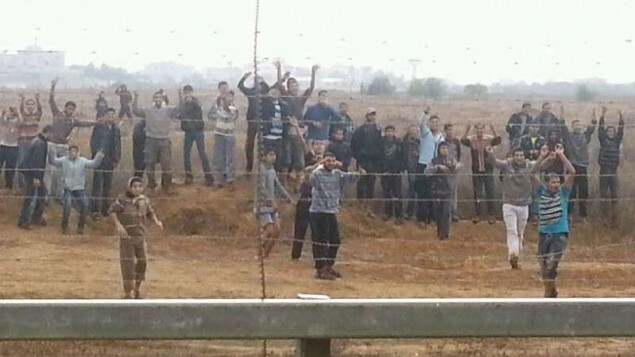 The IDF Spokesperson said that a group of “at least five” Palestinians approached the fence and attempted to damage it. Troops fired at one man’s lower body and confirmed the man was hit. 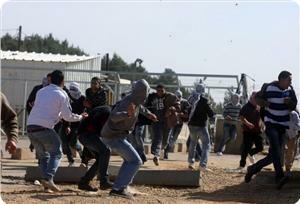 Palestinian sources reported that two men were injured by Israeli fire in the incident. The Ma’an News Agency quoted Gaza Health Ministry spokesman Ashraf al-Kidra as saying that a 20-year-old man was shot in the chest and was in moderate to serious condition, and a 22-year-old was in moderate condition after being shot in the hand. The IDF Spokesperson acknowledged that, earlier on Thursday, IDF vehicles conducted a routine operation in the area near the border fence, but did not indicate on which side of the border they were. 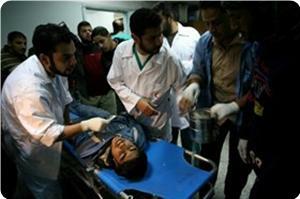 Two Palestinian young men were injured by Israeli fire in the northern Gaza Strip on Thursday, medics said. Gaza health ministry spokesman Ashraf al-Qidra told PIC's reporter that the occupation forces in the east of Beit Hanoun opened fire on citizens in the area, injuring two young men. A 20-year-old man was hit in the chest and is in serious condition, while the other man, aged 22, was shot in the hand and suffered moderate injuries, al-Qidra added. 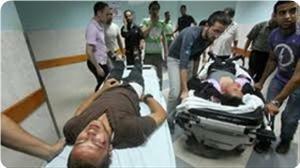 The two injured were transferred to hospitals in Gaza to receive treatment. The occupation has been targeting citizens and farmers in their fields near the border fence, which comes within the repeated Israeli violations of the truce signed with Palestinian factions last November under Egyptian auspices. Three Palestinian children were wounded on Thursday when an explosive device exploded in Beit Hanun, north of the Gaza Strip. Dr. Ashraf Al-Qudra, the health ministry’s spokesman, said that that all three children were moderately injured in the blast. He said that one of them Abdul Karim Abu Ode, 6, was carried to Shifa hospital in Gaza while the two others, both 4 years old, were carried to Kamal Odwan hospital north of the Strip. Two Palestinian brothers were seriously wounded when an Israeli army ordnance blasted near them in Gaza city on Tuesday night, medical sources said. They said that the two brothers, both of whom are minors, were carried to Shifa hospital, adding that the explosion took place in Sheikh Radwan suburb. The younger brother, 5-year-old Emad, was hit with shrapnel in his head and underwent an urgent surgery after which he was transferred to ICU in critical condition, the sources said. They added that his elder brother, 15-year-old Younis, had both his hands amputated and also underwent urgent surgeries. A number of Palestinians were killed or wounded in the explosion of such ordnances despite the repeated interior ministry warnings to keep away from any suspicious object. Five Palestinian boys were wounded to the north of Atara military roadblock after Israeli occupation forces (IOF) violently quelled their march afternoon Wednesday. Eyewitnesses said that dozens of youngsters demonstrated in solidarity with Palestinian hunger strikers in Israeli occupation jails. They said that IOF soldiers fired rubber bullets, teargas canisters, and stun grenades at them wounding five with rubber bullets. Israeli occupation forces (IOF) raided Erka village, west of Jenin, at dawn Wednesday and combed its various streets firing metal bullets and stun grenades in the process. Local sources said that the soldiers invaded the village in ten armored vehicles and provoked citizens through loudspeakers igniting confrontations. The soldiers positioned in the vicinity of the village’s mosque and set up a roadblock at its entrance, they added. Other IOF soldiers rounded up a 22-year-old youth in Rummane village, also to the west of Jenin, locals reported, adding that the soldiers stormed and ransacked the youth’s family home and interrogated his family members in the open cold weather after forcing them out of the house before taking him away. Inhabitants of the Orif village, Nablus district, confronted the Israeli occupation forces (IOF) who invaded their village at a late hour on Tuesday. Local sources said that IOF soldiers fired stun grenades and teargas canisters at the villagers and later withdrew without making any arrests. Earlier on Tuesday, IOF soldiers closed the Hawara checkpoint, south of Nablus, for a few hours after detecting a “suspicious object”. Israeli occupation forces opened heavy machinegun fire at Palestinian farmers and citizens to the east of Khan Younis, south of the Gaza Strip, on Tuesday morning. Eyewitnesses told the PIC reporter that the soldiers in armored vehicles stationed in the vicinity of Kissufim military position suddenly opened fire at the Palestinians who were working in their land. They said that no casualties were suffered but the citizens fled the scene fearing for their lives since a number of civilians were killed in similar past incidents. Israeli occupation forces (IOF) used force to disperse a peaceful demonstration organized by Birzeit university students in solidarity with Palestinian prisoners. The marchers headed to Ofer jail and were confronted by IOF soldiers who barricaded near the prison and fired metal bullets and teargas at the demonstrators, a number of whom suffered breathing problems. The Birzeit university students had organized a series of solidarity activities with Palestinian prisoners especially those on hunger strike. Israeli occupation forces (IOF) raided the northern Al-Khalil village of Beit Ummar on Tuesday morning and arrested a Palestinian citizen. Local sources said that IOF soldiers fired teargas canisters at citizens on attacking the village forcing a number of them to seek treatment for gas inhalation. They said that the soldiers broke into many homes in the village before arresting Tarek Abu Mariya. The sources said that the confrontations lasted for a few hours, adding that the soldiers were savagely bursting into civilian homes. Meanwhile, in another area of Al-Khalil, IOF soldiers installed six new monitoring cameras at the entrance to Arub refugee camp on Monday evening. Eyewitnesses told the PIC reporter that soldiers of the IOF engineering corps replaced the old cameras that were destroyed in confrontations with Palestinian youths in the camp. Israeli occupation forces (IOF) closed the two roadblocks to the east and south of Tulkarem on Sunday night practically isolating the city. Locals said that IOF soldiers closed the Annab road barrier that links Tulkarem to the West Bank and Jbara roadblock that links the city to 1948 occupied lands. They said that traffic jams were reported on both routes, noting that many students, employees, and workers could not return to their homes while many other visitors and employees could not get out of the city. The sources said that the soldiers were thoroughly searching all cars and passengers on both roadblocks. Sunday February 10; Israeli soldiers and policemen violently attacked a nonviolent protest against a settlement road being built on Palestinian lands in Beit Safafa town, in occupied Easy Jerusalem. 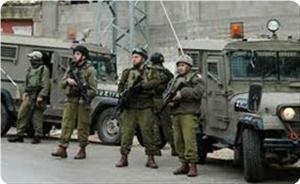 Two Palestinians have been kidnapped and at least two others have been wounded. 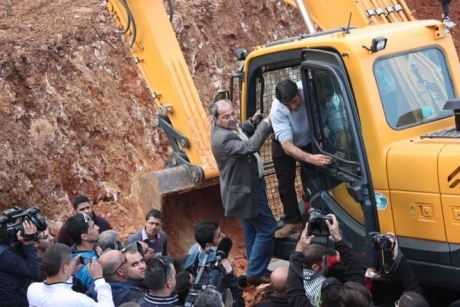 Dozens of residents, including Arab member of Knesset Dr. Ahmad Tibi, participated in the protest and formed human chains in an attempt to stop the bulldozers from uprooting and bulldozing the lands for the construction of the settlement road dubbed as “Road 4”. Dr. Tibi said that Beit Safafa is facing a renewed assault by Israel, and that the Israeli government only wants to serve the settlers and build roads for them at the expense of the Palestinians in Beit Safafa, and in the rest of occupied Jerusalem. Dr. Tibi added that the residents of Beit Safafa are being targeted, once again, and losing more lands while the Israeli government continues to neglect them and their rights, and refuses to provide them with the needed services. Engineer Abdul-Karim Lafi, member of the Engineering Committee in Beit Safafa, stated that the residents reject the Israeli plan that aims at the illegal confiscation of 250 Dunams of their lands for the benefit of an 80-meter settler highway that extends for 1600 meters. Beit Safafa resident, Majida Sobhi, stated that Israel started working on the new road approximately 5 months ago, and that, one completed, the residents will start facing further difficulties as they will have to take alternate extended bypass roads whenever they enter or leave the town especially since this new highway will split their town.